At times we tend to think of John the Baptist as a wild man, one who would have been either an offense or a laughingstock to those he was trying to reach, but in reality quite the opposite was true. He was greatly respected and believed; some even wondered if he should have been worshiped as “that prophet” (i.e., the Messiah) or revered as Elijah (John 1:21). His “preaching the baptism of repentance for the remission of sins” (Luke 3:3) was so effective that not only the common people (Luke 3:10) but also the publicans (v. 12), soldiers (v. 14), priests, and Levites (John 1:19), as well as the Pharisees and the Sadducees (Matthew 3:7), came to hear his teaching. Many repented and were baptized. Far from lacking credibility, John’s style was what was expected of a prophet. Indeed, his ministry and message were in fulfillment of those of Elijah (Malachi 4:5), who himself “was an hairy man, and girt with a girdle of leather about his loins” (2 Kings 1:8). Even false prophets mimicked this style (Zechariah 13:4) to gain credibility. The point is, we should strive to package our timeless message of the gospel of Christ in such a way as to gain the greatest hearing and the most true converts. This is not to say that we should dress as John or Elijah did, for that would be bizarre in today’s world. Nor should we flaunt riches, for both styles detract from the message and induce ridicule and blasphemy. 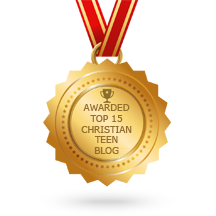 This entry was posted in A CLICK A BLESSING TODAY, CHRISTIAN NUGGETS, CHRISTIAN TEENS BLOGS and tagged A Credible Lifestyle. Bookmark the permalink.